Major lifeforms like those of virus, prokaryotes, unicellular eukaryotes and multicellular animals fall in distinct size classes, with distinct allometric profiles. The natural selection of these allometric transitions with mass may thus explain the evolution of the major lifeforms. By having no intrinsic metabolism, viruses have evolved beyond the domain of an allometric scaling between metabolism and mass. And where multicellular animals with Kleiber scaling have a negative 1/4 exponent for the allometry between mass specific metabolism and mass, the exponent is strongly positive in prokaryotes with a value around 0.84 (Delong et al., 2010). 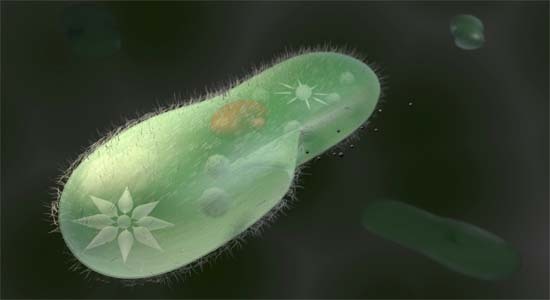 And with an apparent invariance between mass specific metabolism and mass (Makarieva et al., 2008), unicellular eukaryotes may lie on a natural selected continuum that link prokaryotes with multicellular animals. As the metabolic allometry is changing across the major size classes, I have decided to extend the “allometries are selected by the selection of mass”-hypothesis (Witting, 1995, 1997) to explain allometric transitions between virus, prokaryotes, unicellular eukaryotes and multicellular animals. This is revealed in four forthcoming papers that will explain the four lifeforms, and much more, as a direct consequence of the natural selection of metabolism and mass. DeLong, J.P., J.G. Okie, M.E. Moses, R.M. Sibly and J.H. Brown 2010. Shifts in metabolic scaling, production, and efficiency across major evolutionary transitions of life. Proceedings of the National Academy of Sciences 107:12941--12945.